A native New Yorker, Amiya Prasad was surrounded by faces: faces of many cultures, ages and ethnicities. Their movements and expressions, structures and muscles inspired Prasad to pursue his sub-specialty oculofacial (eye and face) surgery. Today he is ranked in the company of only about 500 oculofacial surgeons worldwide. Amiya Prasad earned his medical degree from Mount Sinai School of Medicine in 1988 and went on to continue his internship in internal medicine at Beth Israel Medical Center. He accepted a pre-residency research fellowship in the highly competitive Mount Sinai School of Medicine, Department of Ophthalmology. He completed his residency in eye surgery at Brookdale University Hospital. There, Prasad mastered the intricate techniques of microscopic surgery. In 1993, Dr. Prasad began a Fellowship in Oculofacial Plastic Surgery at the University of Texas-Galveston; a Preceptorship in ENT/Facial Plastic Surgery at Baylor College of Medicine, followed from 1994 to 1995. Brookdale University Hospital recognized for outstanding surgical results, had Dr. Prasad develop a highly specialized Oculofacial Plastic Surgery Division. He served as Chief of Surgery at the Oculofacial Plastic Surgery Division, Brookdale University Hospital from 1995 to 1998. Dr. Prasad wanted to pursue a more personalized approach to aesthetic surgery. 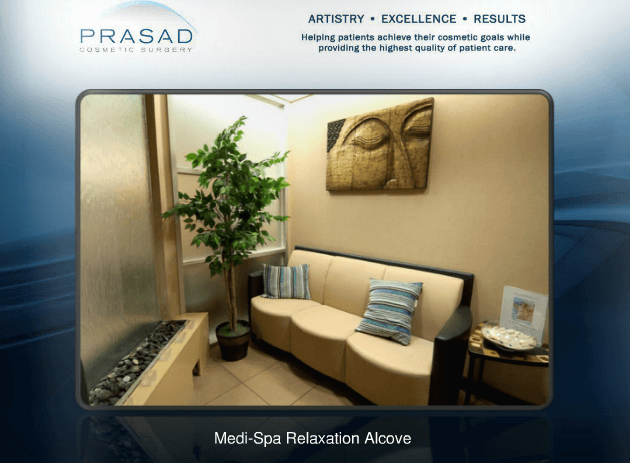 In 1998 Prasad Cosmetic Surgery, his private practice, opened on the Upper East Side of Manhattan with a second office in Garden City, Long Island. 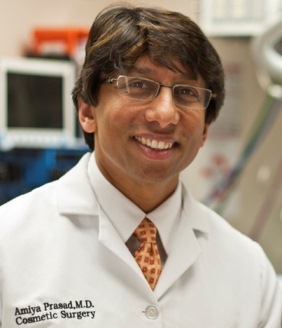 Today, Dr. Prasad is widely regarded by his patients and peers as the very best in his field. His finely perfected surgical techniques result in rejuvenated natural appearances that do not alter the unique characteristics that each individual face possesses. Dr. Amiya Prasad is a super-specialist, a medical term that describes copious training, experience and accreditation that amounts to superior specialization within a particular field. Prasad Cosmetic Surgery Practice in Manhattan and in Garden City are Joint Commission Accredited. You can see my profile in Google +, Facebook, Twitter. “No one should ever compliment you on your plastic surgery because they should never be able to tell that you had it.” — Amiya Prasad, M.D. In our modern society, appearance is the most powerful and influential indicator of how we are perceived. We all age, and we rationally admit to ourselves that physical signs of aging are inevitable. However, oftentimes the mirror does not reflect the same person we see in our mind’s eye. Dr. Prasad recognizes the all-important need to serve the resounding desire of his patients to look as young as they feel, without altering the integrity of those desirable and beautiful expressions that make each individual unique. As an Oculoplastic surgeon, Dr. Prasad’s primary interest in cosmetic surgery is to bring about a natural-looking appearance. His artistic eye, experience and unparalleled skills as a micro surgeon are paramount in his highly-specialized field of Cosmetic Ocularfacial Surgery. As an Oculoplastic surgeon, Dr. Amiya Prasad’s primary interest in cosmetic surgery is to bring about a natural appearance, restoring and revitalizing patients to look as young as they feel. Anti-aging changes wrought upon the face should in no way alter the basic character that it originally possessed. 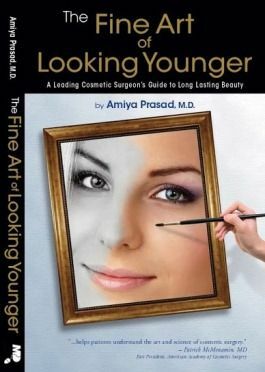 Dr. Amiya Prasad’s book, The Fine Art of Looking Younger, is an inside look at the plastic surgery profession. Prasad explains his natural approach to ocularfacial plastic surgery, how to get your plastic or cosmetic surgeon, how marketing has affected the industry, different perceptions of beauty, symmetry, expectations, procedures and more. Plastic or cosmetic surgery is a big decision. The Fine Art of Looking Younger is a must read for anyone contemplating this step.